Imagine a land where the wonderful world of Disney® comes alive. Our super 4 Day Tour via Eurotunnel is based on-site at a Disney Themed Hotel. 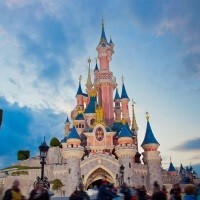 3 nights/4 days by Eurotunnel including 4 Day Park Hopper Ticket allowing unrestricted access to either of the Disney Parks as, and when, you like.